Ransom Jackson with Jackie Robinson. Handsome Ransom Jackson, who hit the final home run for the Brooklyn Dodgers in 1957 before their move to Los Angeles, passed away on Wednesday, March 20, at his home in Athens, Georgia, at the age of 93. Below is my review of his autobiography, published on this site in September, where he wrote about his time with the Cubs and being traded to Brooklyn to take on the monumental task of replacing Jackie Robinson at third base. Millions of American kids like Ransom Jackson dream of playing major league baseball or in a college bowl game on New Year’s Day. Jackson grew up in Arkansas during the Great Depression, and he would go on to play in back-to-back Cotton Bowls for two different colleges—the first and only player to do so—and he would go on to play professional baseball, known as “Handsome Ransom,” all-star third baseman for the Chicago Cubs. He also got to be a part of history, as he saw Ernie Banks become the first African American to play for the Cubs in 1953, and was in Brooklyn the year Jackie Robinson retired, 1956. Jackson owns a special place in Dodgers history, as he was the last Brooklyn player to hit a home run in 1957, at Ebbets Field, before the team moved to Los Angeles. Jackson’s major league career spanned the entire decade of the 1950s, a time when the landscape of baseball changed dramatically as teams moved to new cities, built new stadiums, and integrated their rosters. 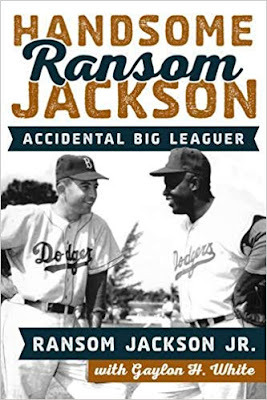 Handsome Ransom Jackson: Accidental Big Leaguer is an autobiographical account of his fascinating journey from his boyhood days in Arkansas to playing in the major leagues, where many of his teammates were future Hall of Famers. This is a fun and nostalgic visit to the past, as Jackson shares such memories as spring training with the Cubs on Catalina Island, befriending a Mafia boss in Massachusetts, batting behind Hank Sauer and getting knocked down by pitchers retaliating for Sauer’s home runs, rooming with Don Drysdale on an historic baseball tour of Japan, and sitting in the dugout in Los Angles with Dodger teammates looking for movie stars in the stands. In addition, Jackson remembers being brought to Brooklyn to take over third base for the aging Jackie Robinson. "How do you replace a baseball legend and civil rights pioneer - the only man in history to have his number, forty-two, retired by every team in the majors?" writes Jackson. "The answer: you don't. "The Brooklyn Dodgers acquired me from the Chicago Cubs to succeed Jackie Robinson, the greatest all-round baseball player ever. "I was thirty years old at the time - seven years younger than Jackie. 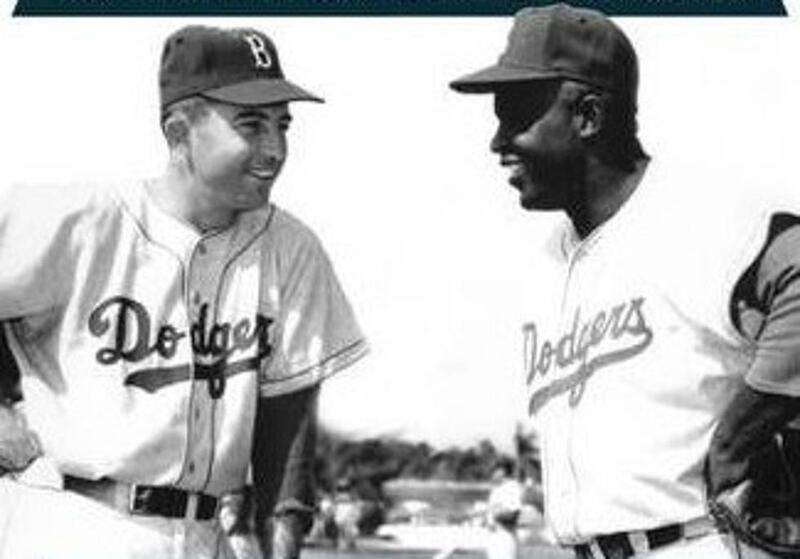 "I was in college in 1947 when Jackie became the first African American to play in the big leagues. "I was in the minors in 1949 when he won the National League Most Valuable Player Award, leading the league with a .342 batting average and thirty-seven stolen bases. "I was so absorbed in my own career that when I reached the majors in 1950, I had yet to appreciate Jackie's greatness. He was just another player I had to compete against. "There are a few guys that come along that have everything. Jackie was one of them. He was the ultimate ballplayer, one that transcends all of the statistics used to measure performance. On all-time lists, his career batting average of .311 barely ranks in the top hundred while nearly 350 players have topped his 197 stolen bases. The most home runs he hit in a single season was nineteen. "What Jackie did better than anybody else was beat you. And he could do it with a glove or bat as well as his throwing arm, legs, and head." While many of the players from the 1950s are no longer with us, Jackson’s invaluable and timeless stories celebrate the greatness of the game and preserve a sliver of history from the heart of the golden age of baseball. Featuring many never-before-published photographs from Ransom Jackson’s personal collection, including photos of Dodger and Cub greats Jackie Robinson, Roy Campanella, Carl Erskine, Ralph Kiner, and Ernie Banks, Handsome Ransom Jackson will take the reader back to an era when baseball was truly the national pastime. This is a book that people who appreciate baseball's rich history will cherish.